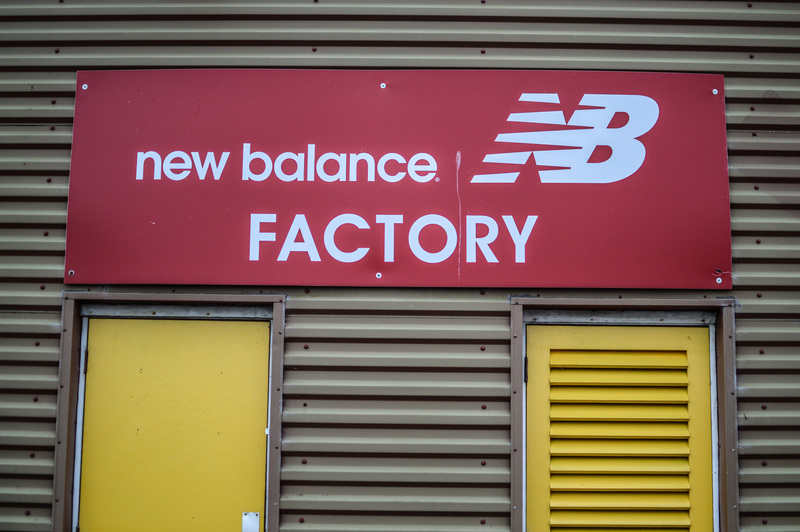 So, I had known for a little while that I would be heading down to Flimby to visit the New Balance Factory, but it never really hit home until a couple of nights before, it felt like Christmas was coming early. 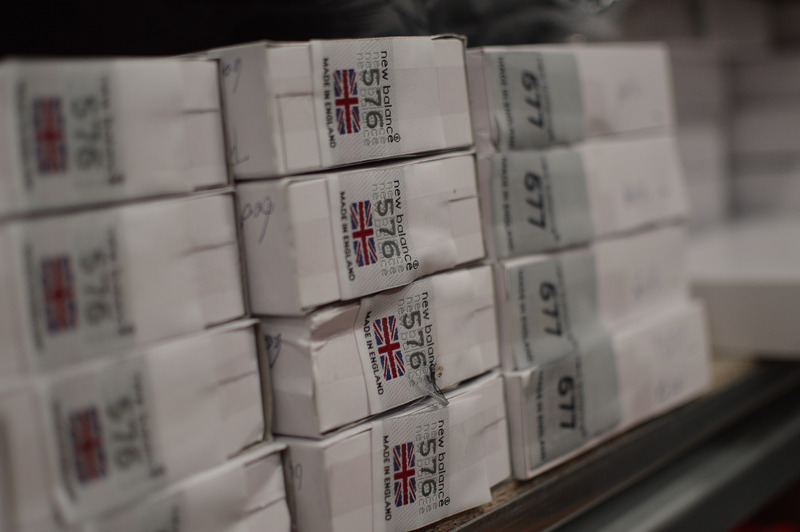 Anyway, the whole visit came around following a petition that was started with regards to the shape of UK Made models, in particular the 1500, and we were invited down to discuss this with the designers and developers, but I’ll address that further down. 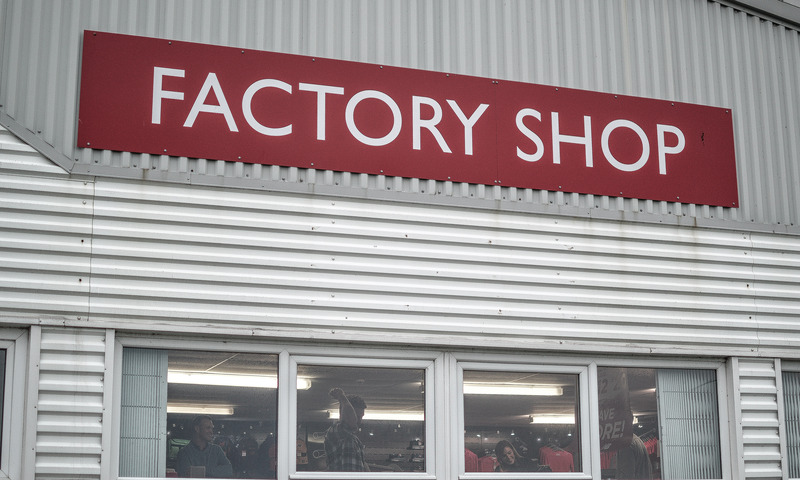 We were staying at nearby Cockermouth, but left there in the morning and headed to Flimby to be there for around 9am, a nice early start. 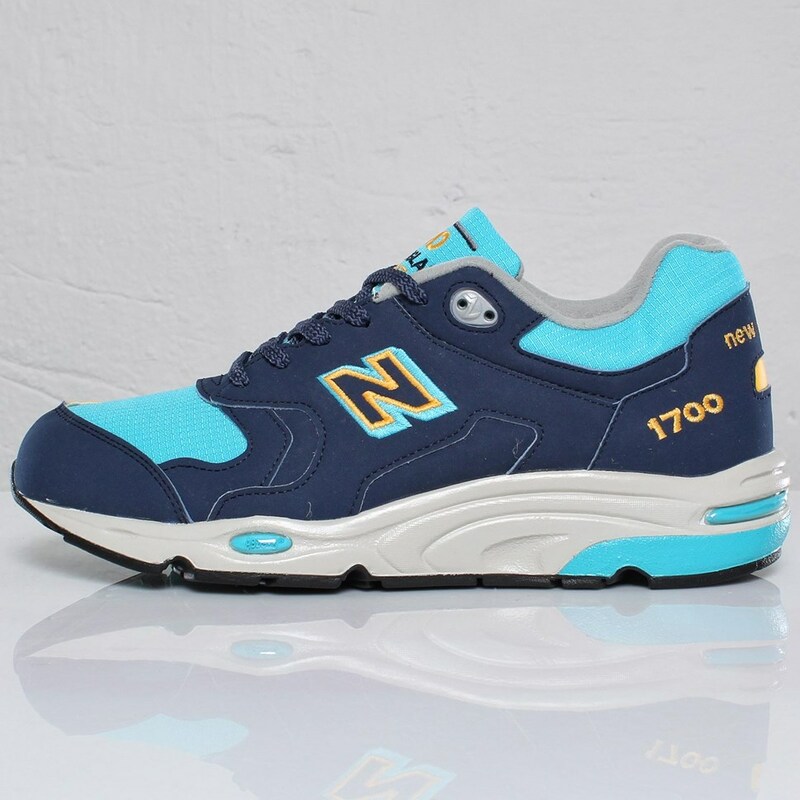 Flimby is a small coastal village in Cumbria, England, and there isn’t much there, except of course the New Balance Factory, a huge power plant, and loads of wind turbines! 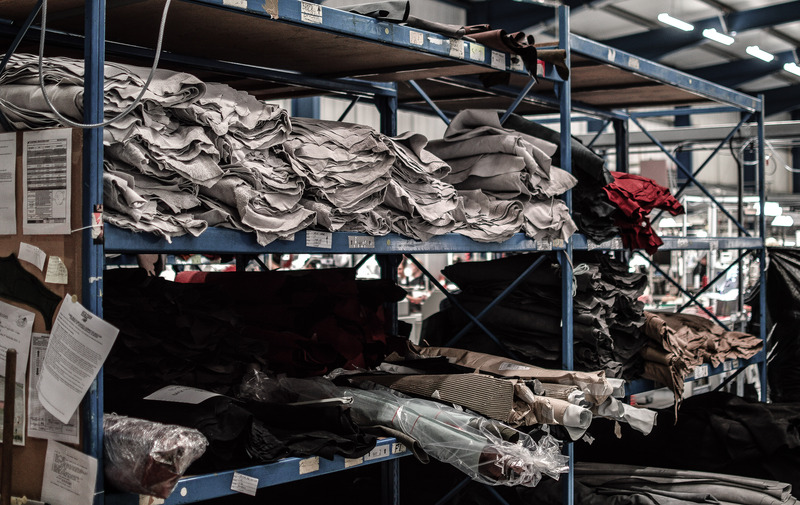 Upon arriving at the factory, I had a little bit of an idea what to expect, and from the outside it doesn’t look like much, but as soon as we stepped onto the factory floor for our tour, all expectations were surpassed. 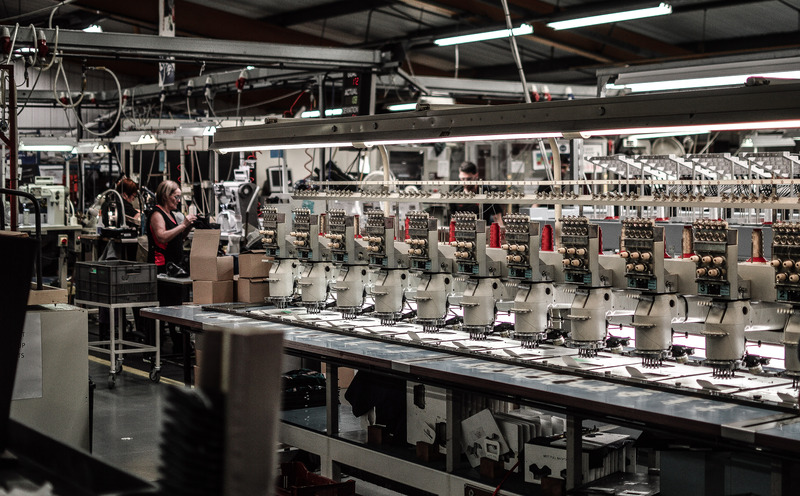 The sheer size of the factory inside was breathtaking, then throw into that all the hundreds of machines, workers, materials, etc, and it blows everything you could ever have imagined out the water. 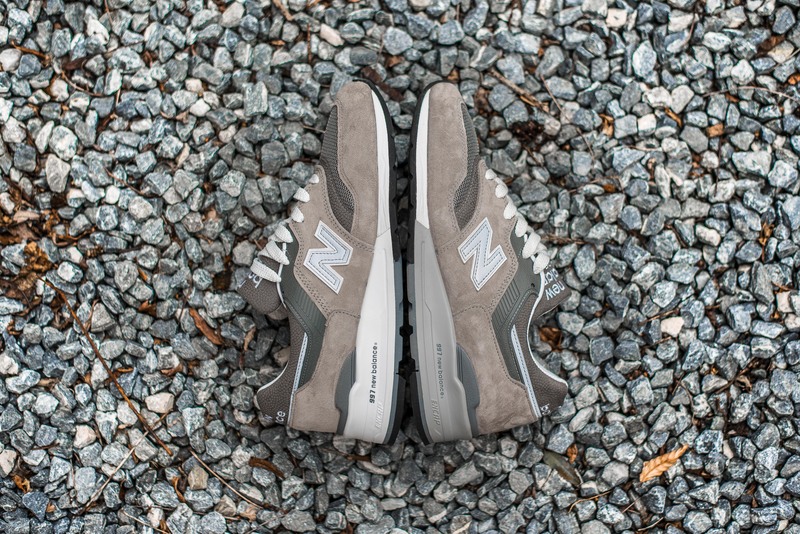 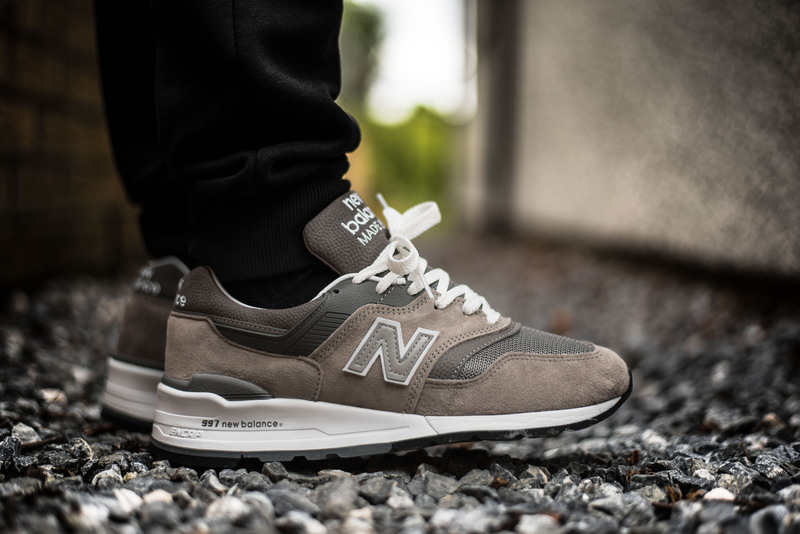 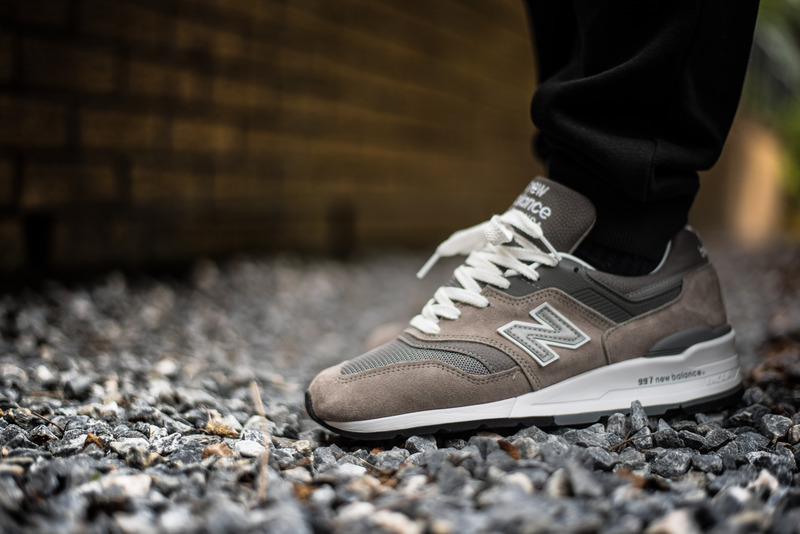 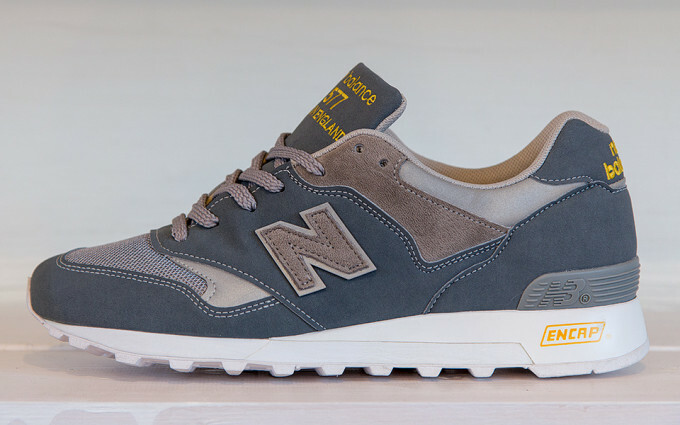 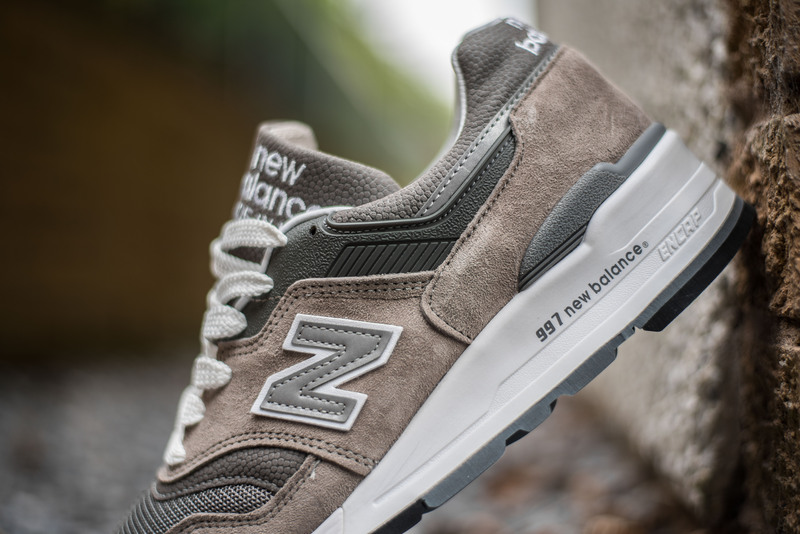 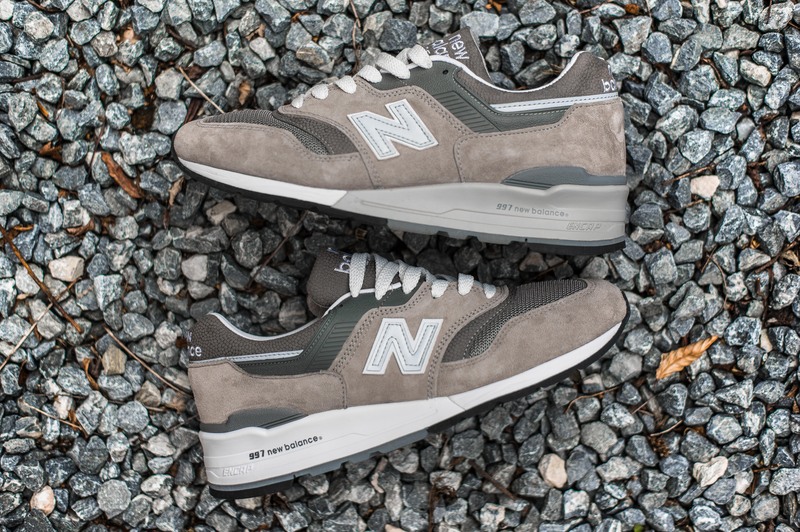 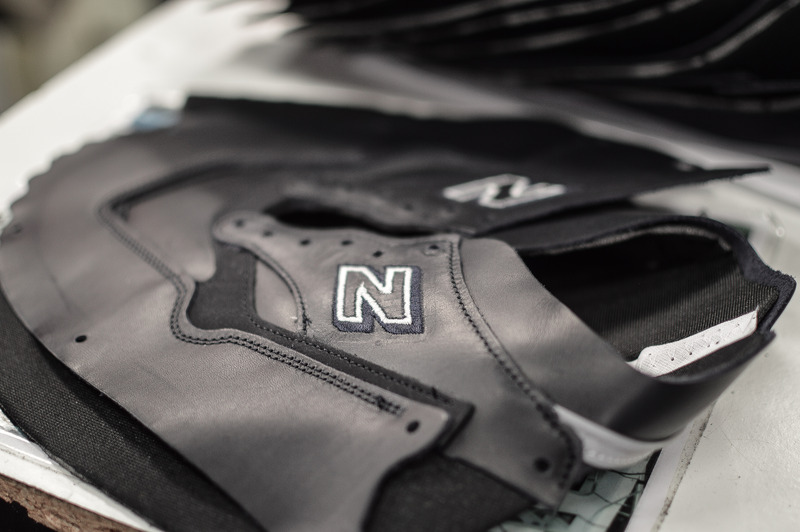 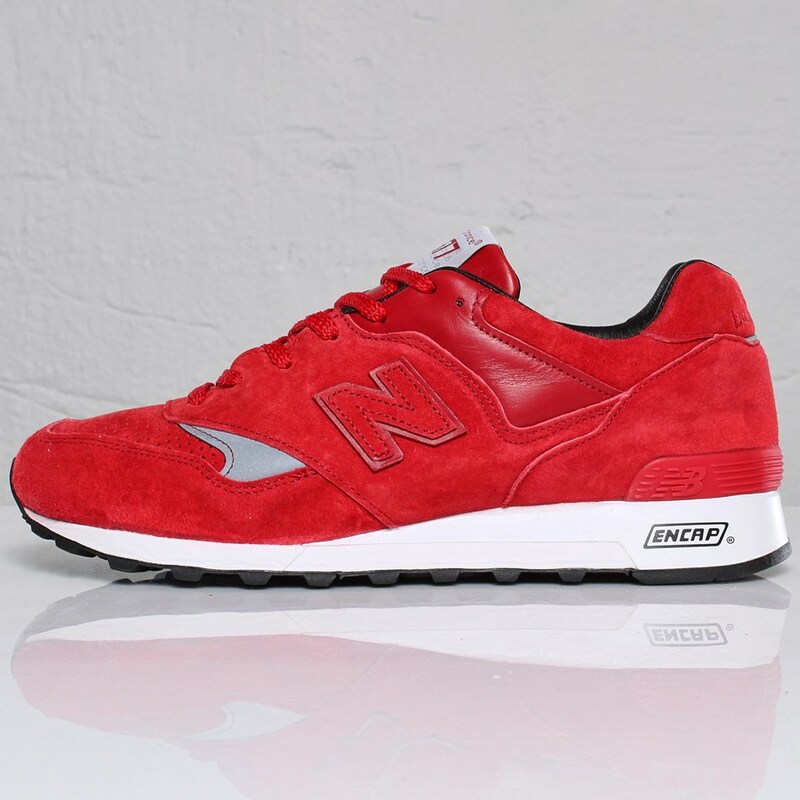 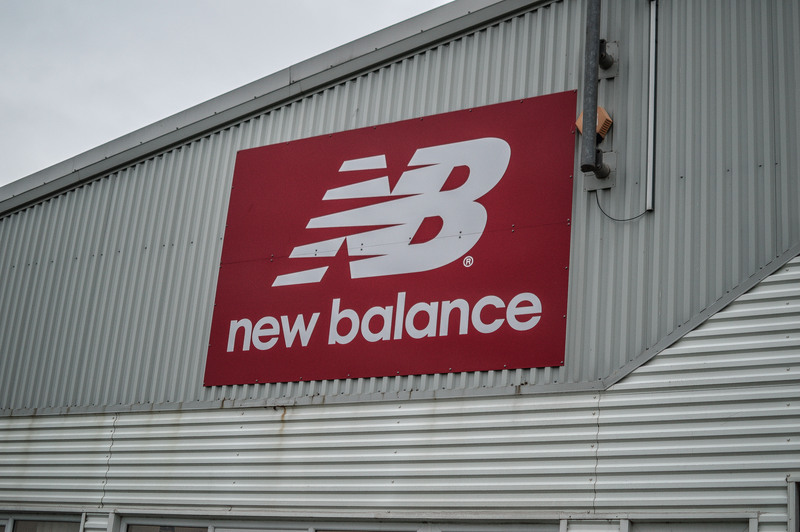 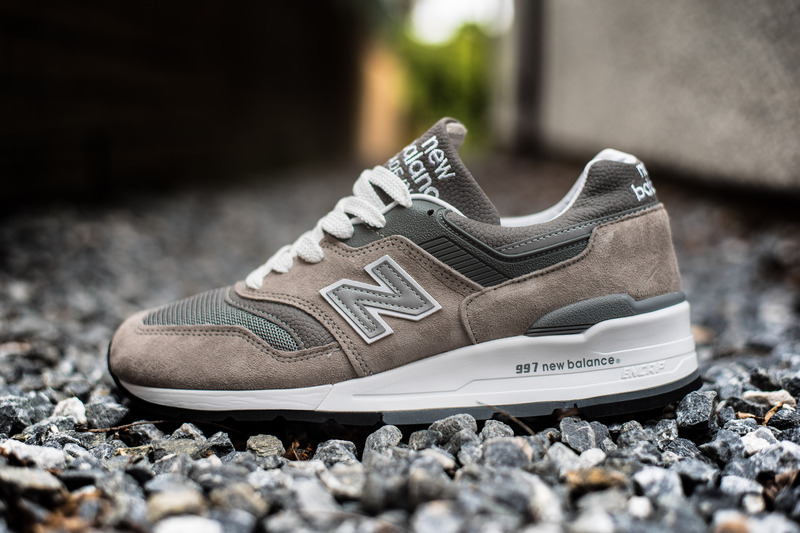 New Balance haven’t always resided in Flimby, back in 1982 they began manufacturing shoes in an old K-Shoes factory in Workington, but in 1991, they made the short move to Flimby, and as the old saying goes, the rest is history. 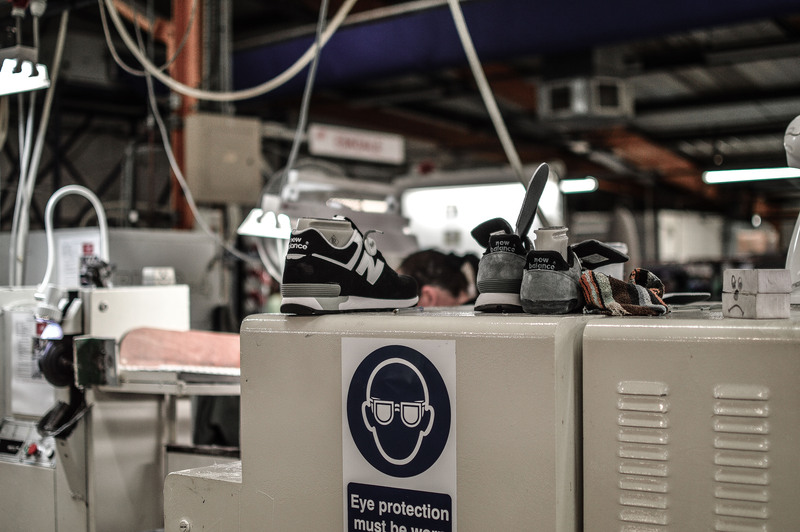 Over the years, the factory has grown in size, and the workforce too, with now over 250 people working there and producing around a million pairs of trainers a year. 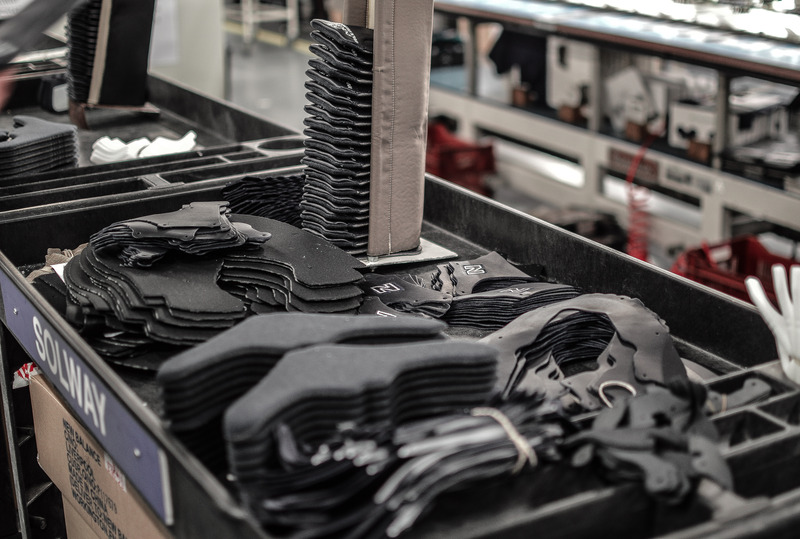 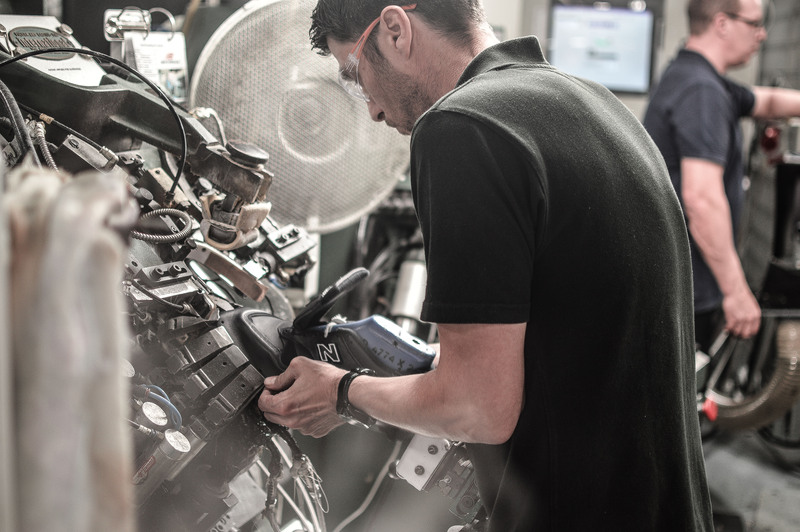 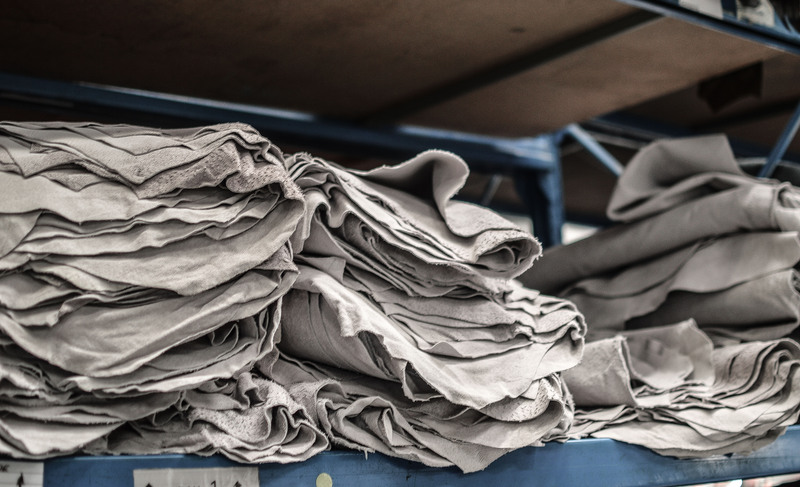 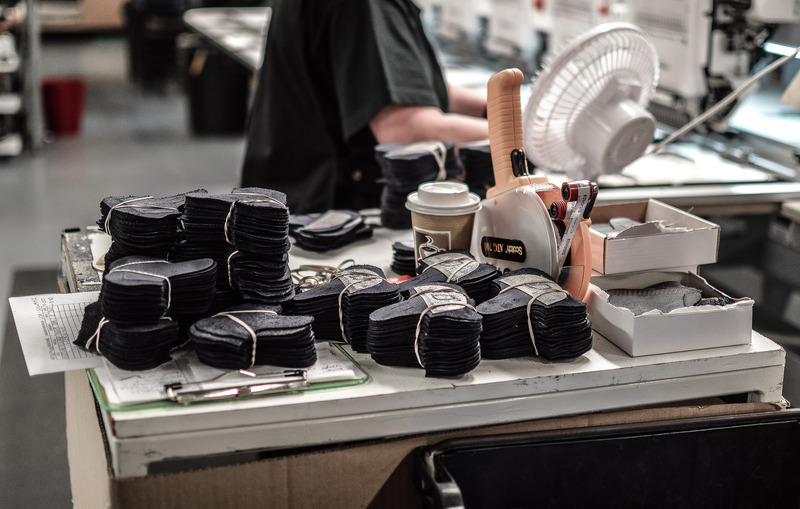 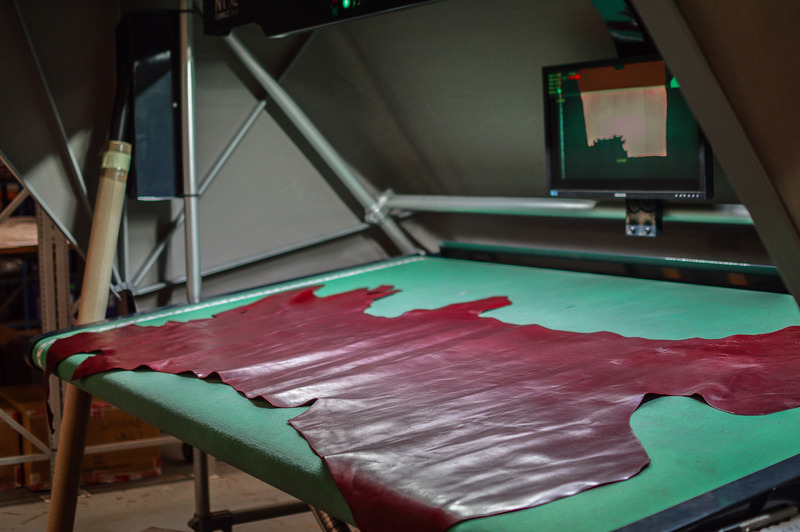 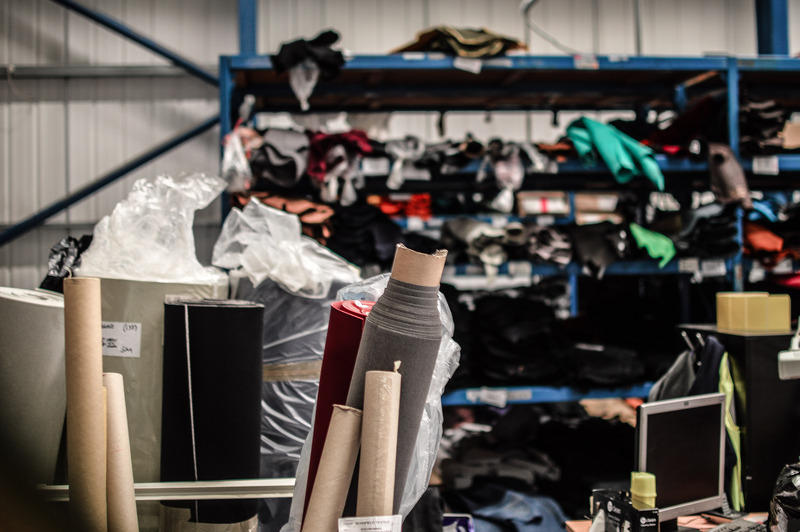 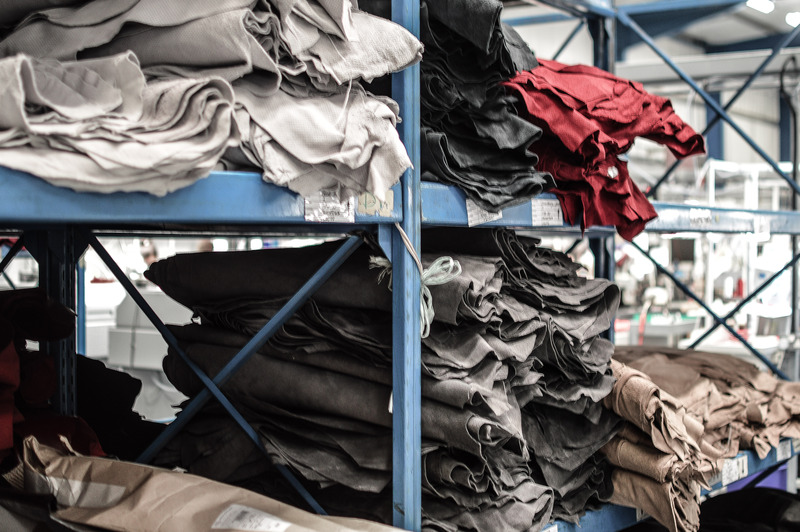 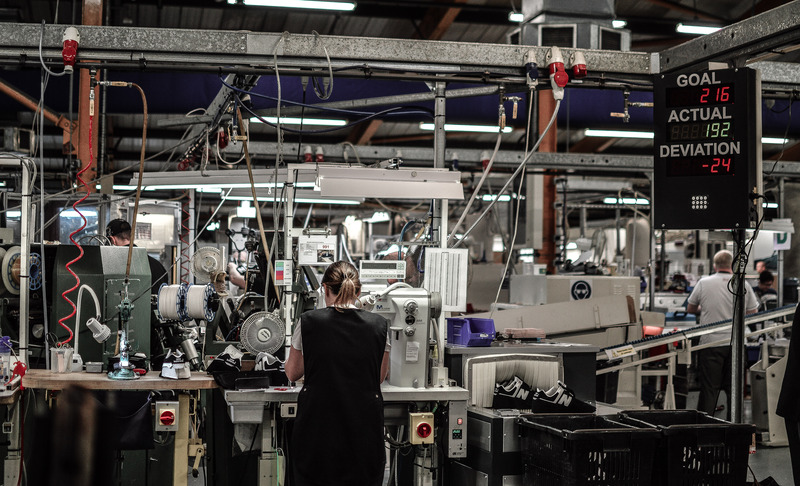 The factory prides itself on it’s ‘Made in England’ tag line, which means that all the shoes with this tag have been made from scratch at Flimby, and the volume of shoes produced this way is set to increase next year. 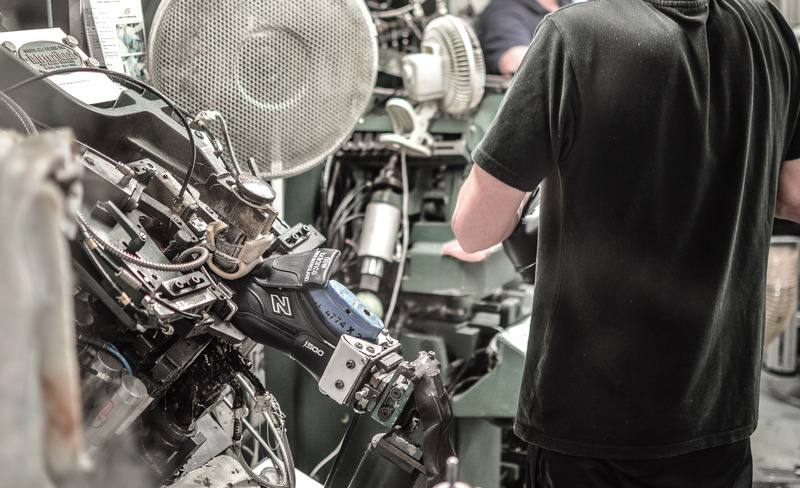 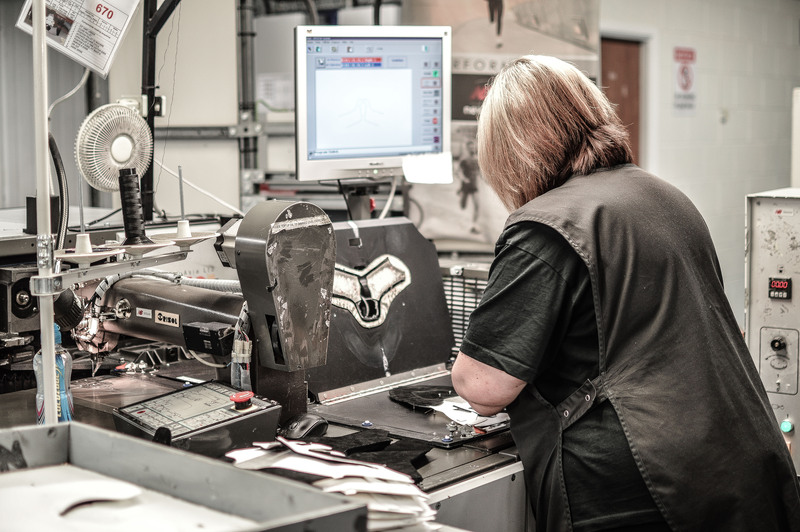 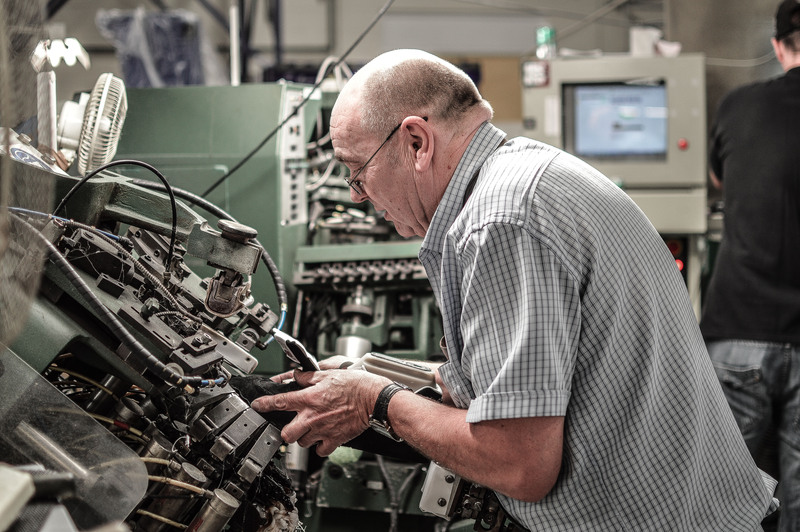 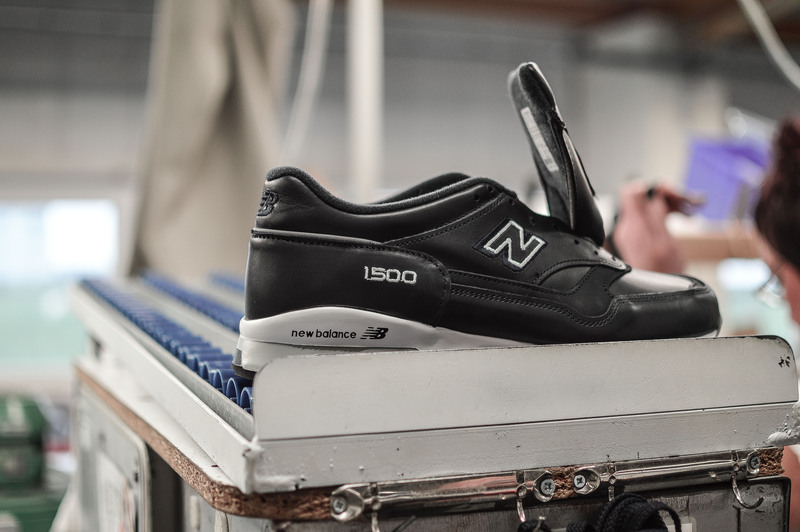 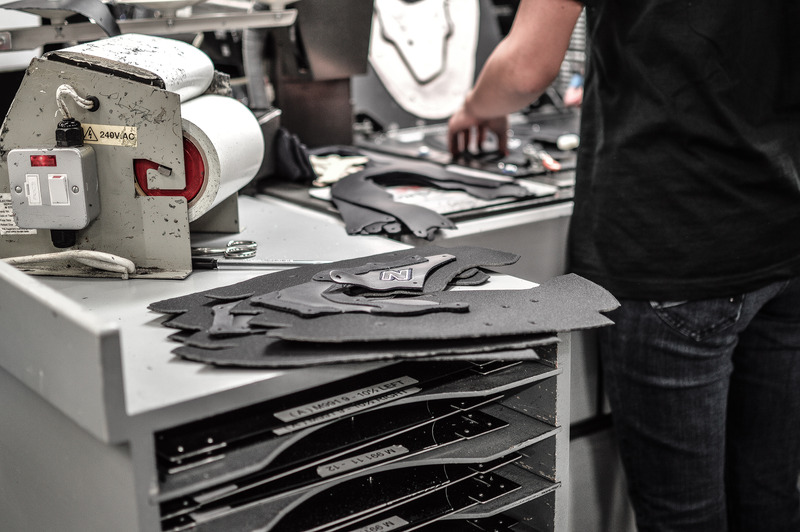 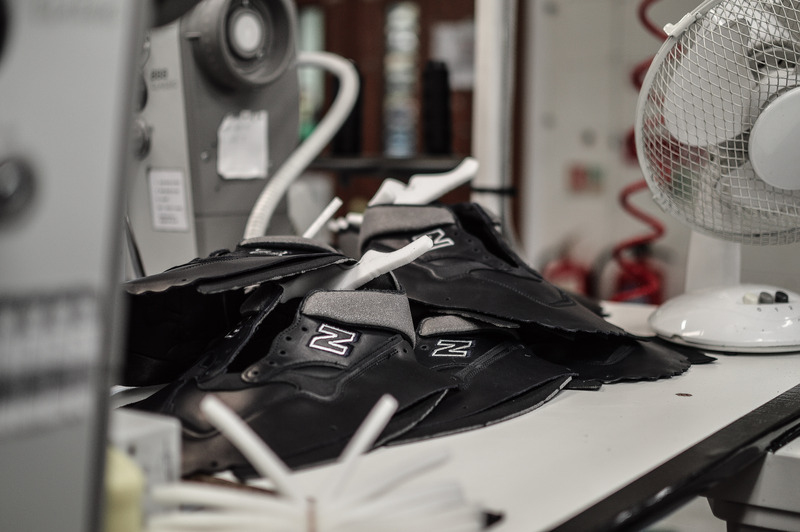 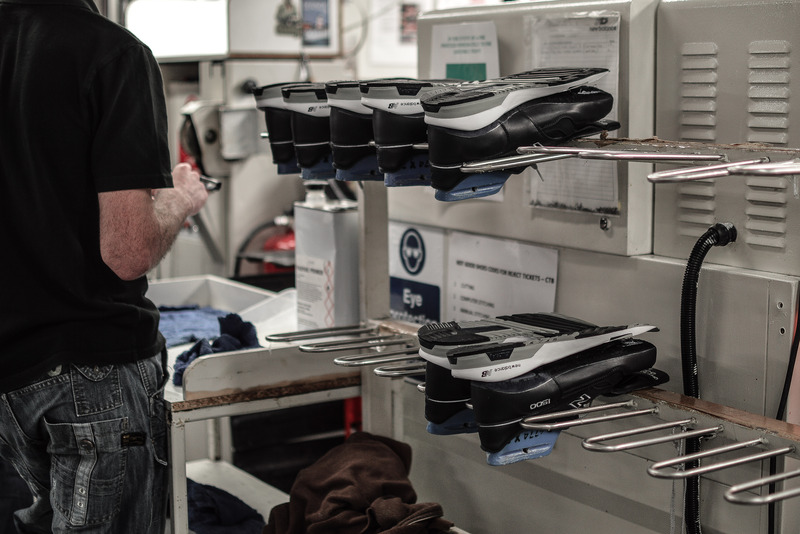 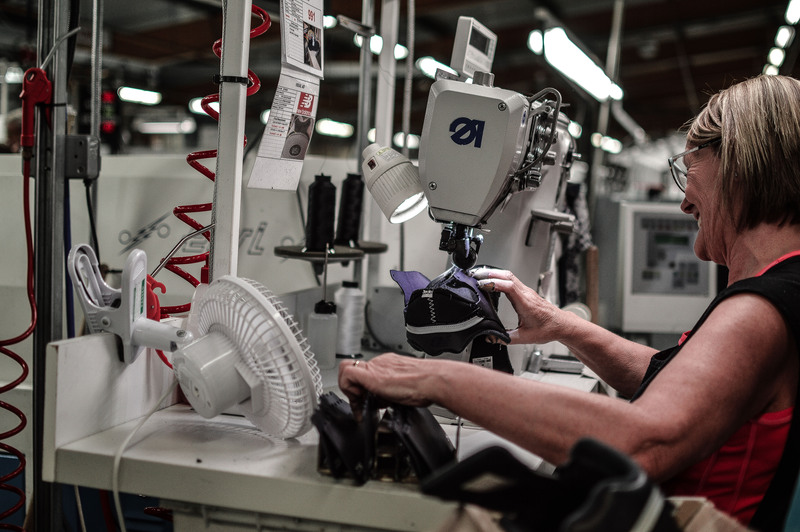 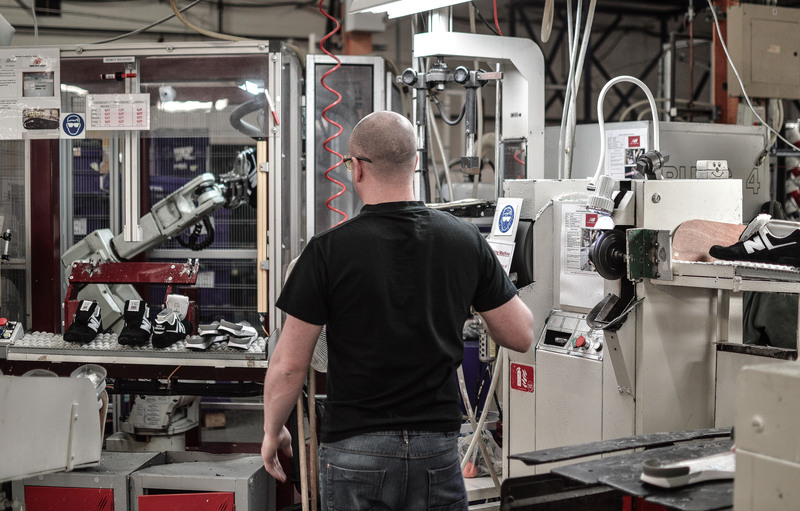 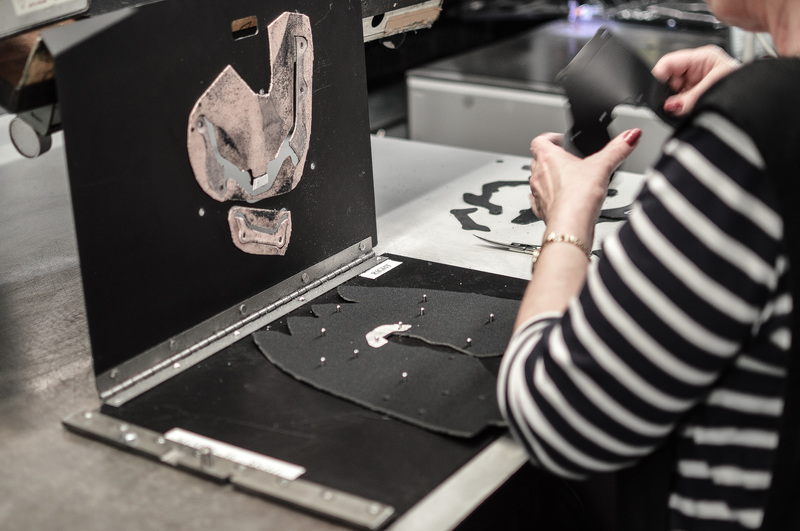 Along with the Made in England pairs, the factory also produces performance shoes which include uppers and sole units which are only assembled there. 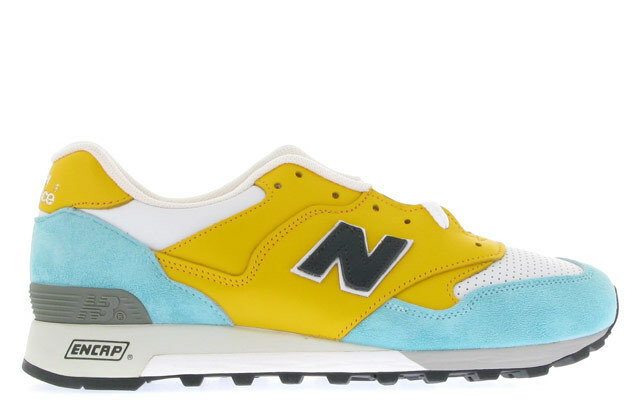 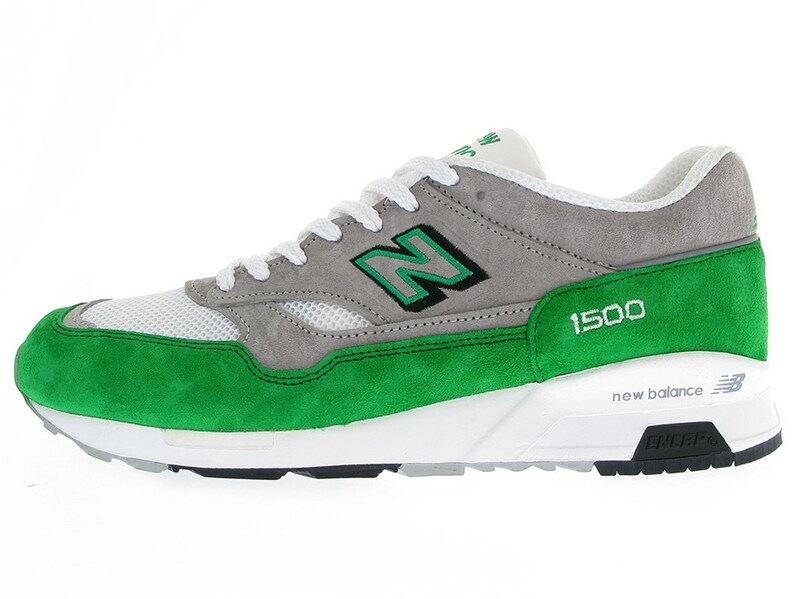 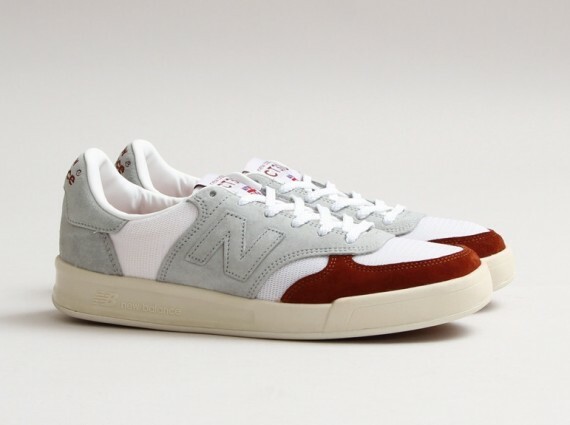 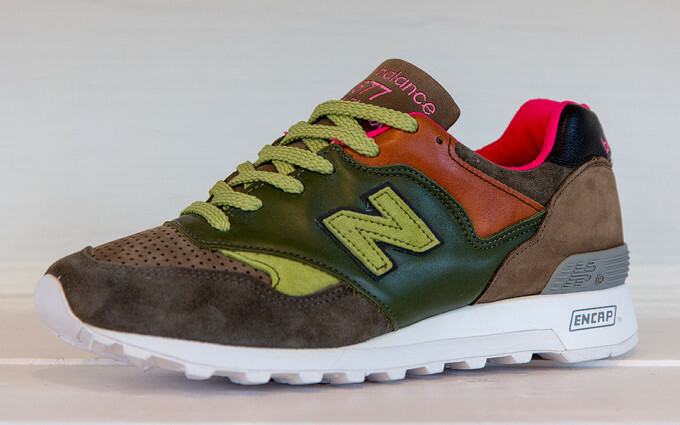 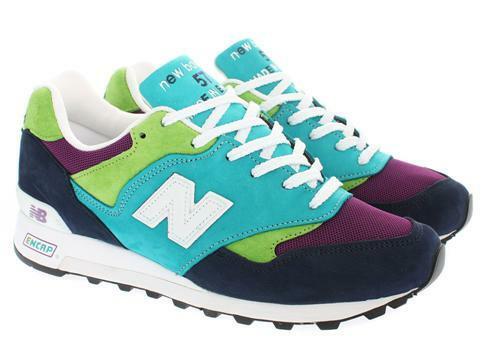 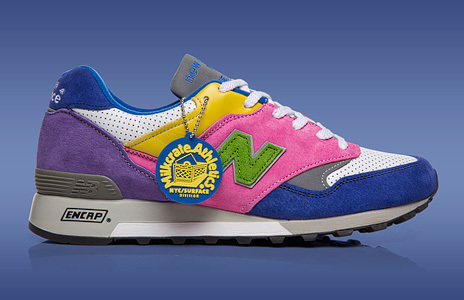 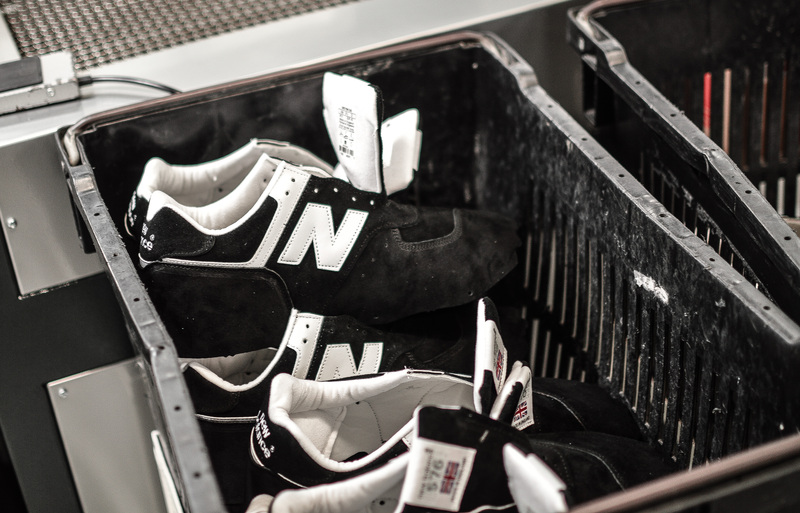 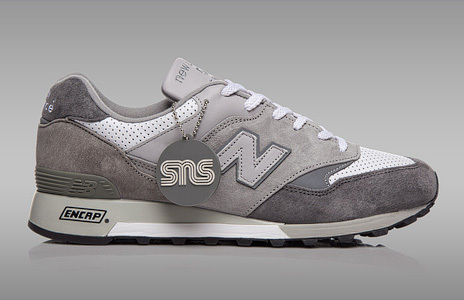 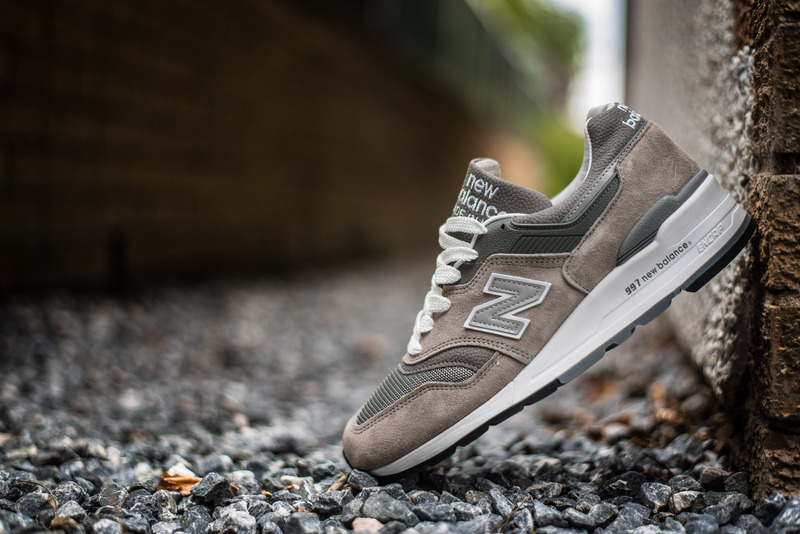 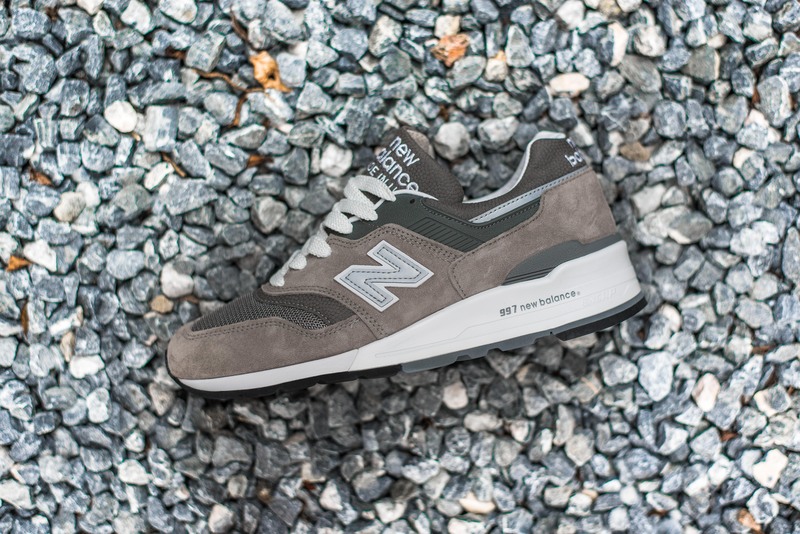 It’s extremely rare for any brand, never mind a brand the size of New Balance to have not packed up and moved their manufacturing elsewhere to the likes of Asia, like many footwear brands before them have done. 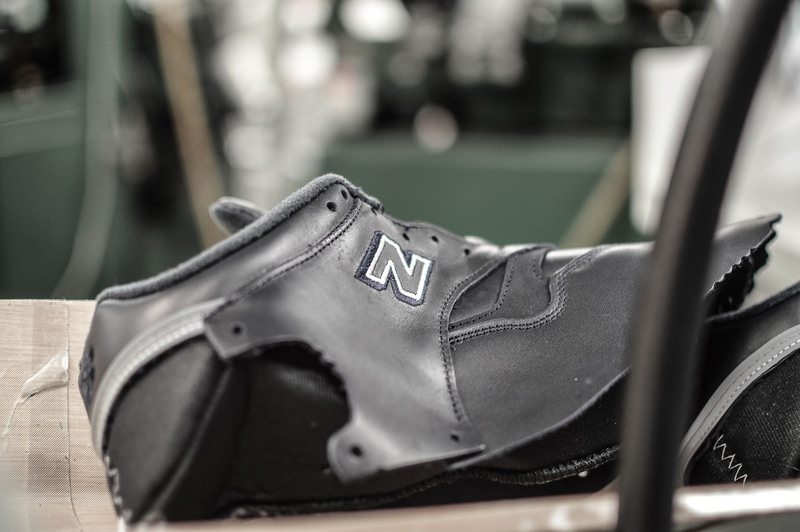 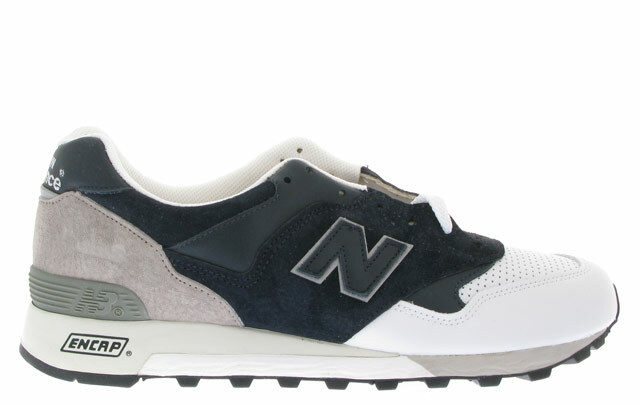 Of course, New Balance is a US brand, and they have a number of factories in the US, along with Asia, but for a workforce and factory this size to still be making shoes in the UK, it really is a testament to the Flimby factory and those who who work there day in day out. 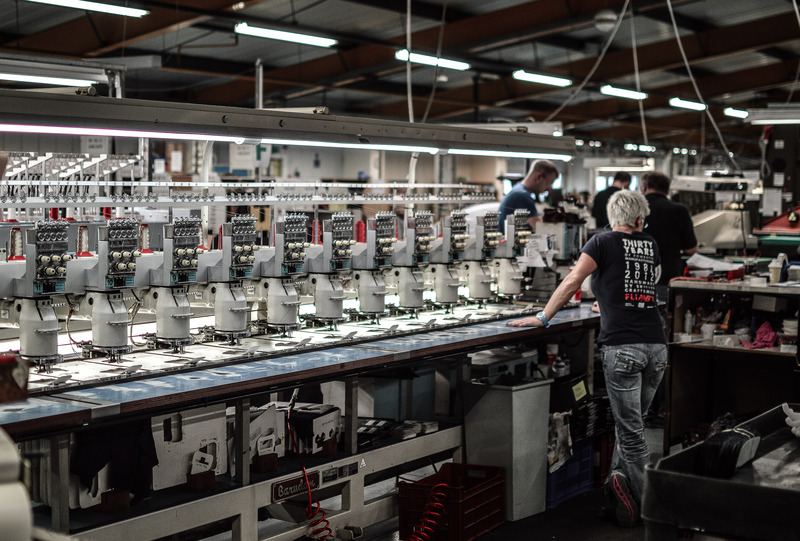 Following the tour of the factory, we visited Chris and Mike’s office which houses the ‘vault’, a fancy name for a room in darkness at the far end, but housed with loads of gems that have been produced at the Flimby factory over the years, along with future releases, prototypes, you name it, that room had it! 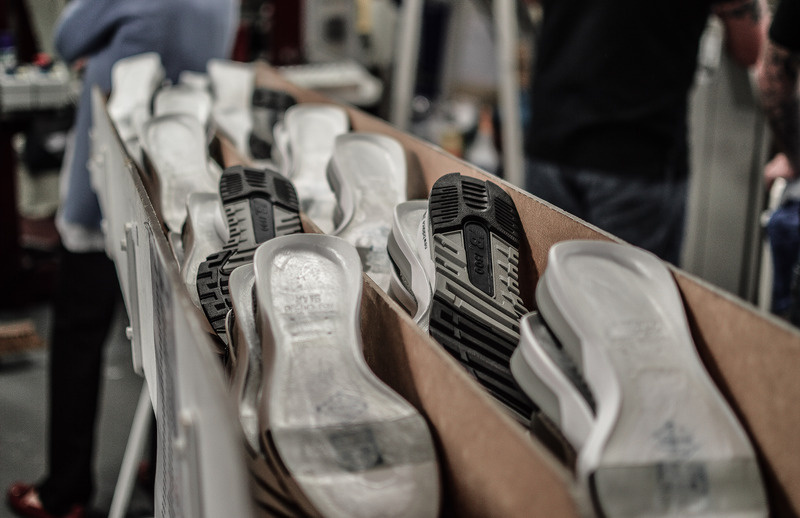 When you see all those shoes together in one place, it’s easy to see why there are so many people who love the brand and share the same passion for it. 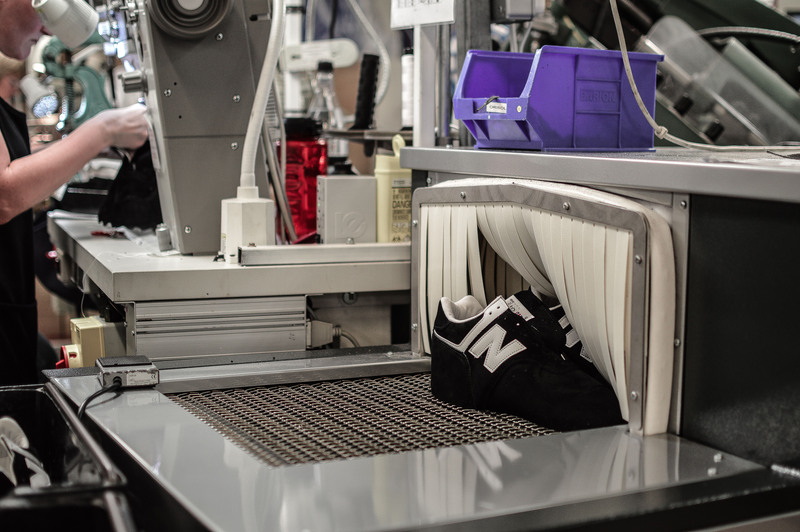 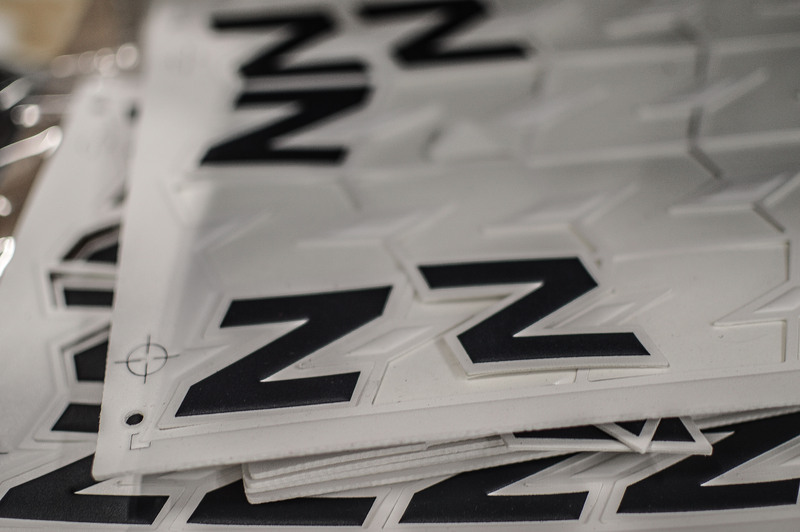 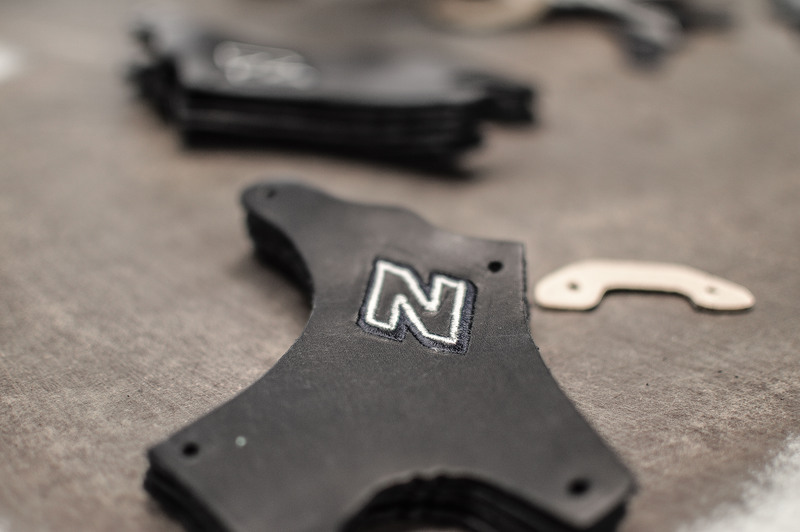 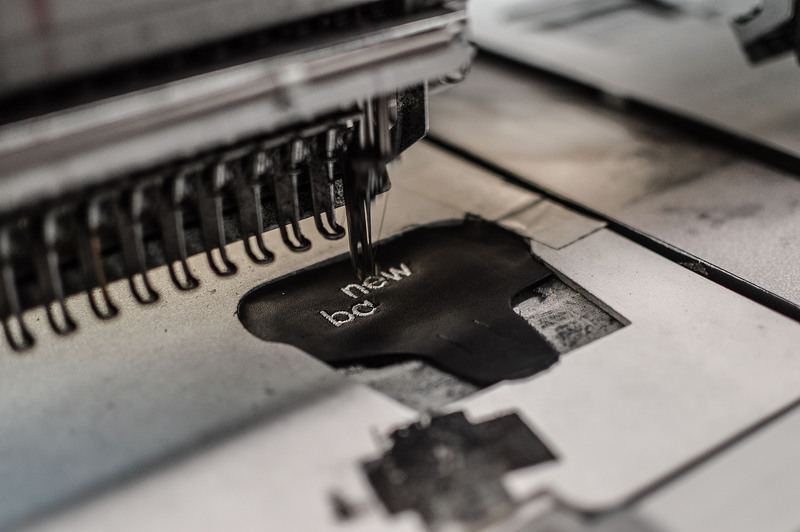 With the factory tour and a little jaunt in the vault over, it was time to head back to the meeting room and sit down with some of the designers, the developers, and others, all of who play a vital part in the running of New Balance Europe. 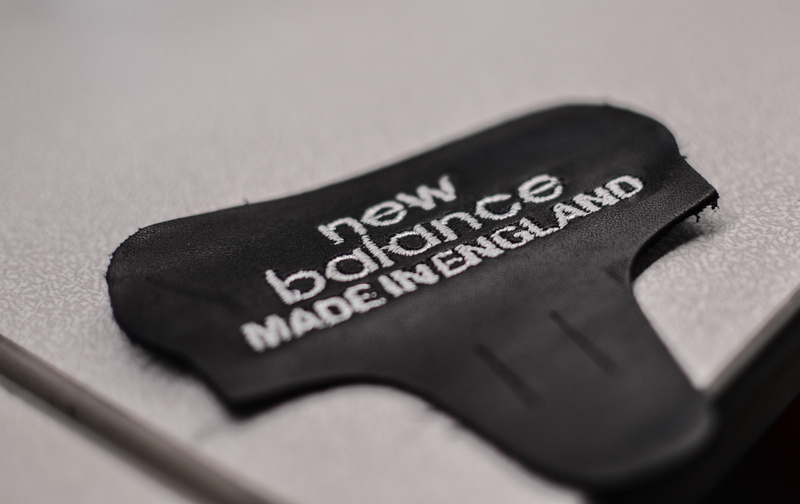 The discussion, as previously mentioned, was mainly focussed around the shape of Made in UK models, and in particular, the 1500, and if ever we were looking for answers to questions, this was bound to be the time we would get them. 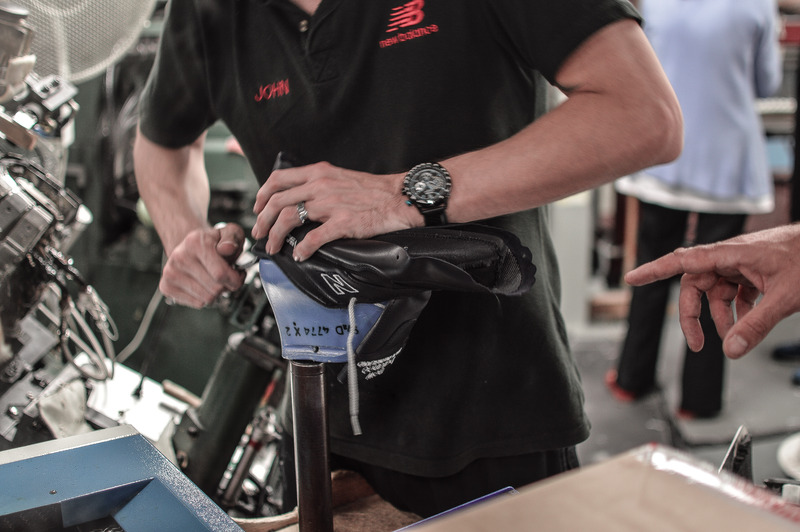 Anyway, as if the day hadn’t already been surreal enough, being sat at the table with everyone, after all the effort they had made to accommodate us inside of their busy schedules, and then provide their comprehensive history of the NB toe-puff, well, it was the cherry on top, and educational for all involved. 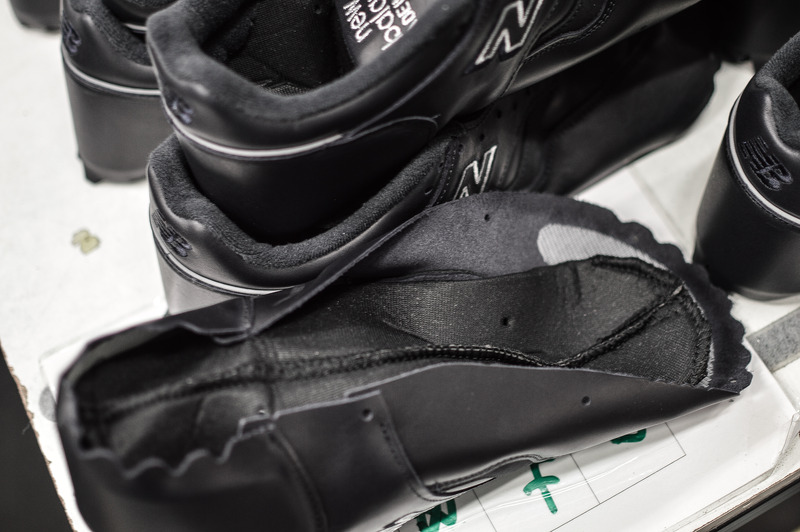 So you’re probably curious as to what was said, right? 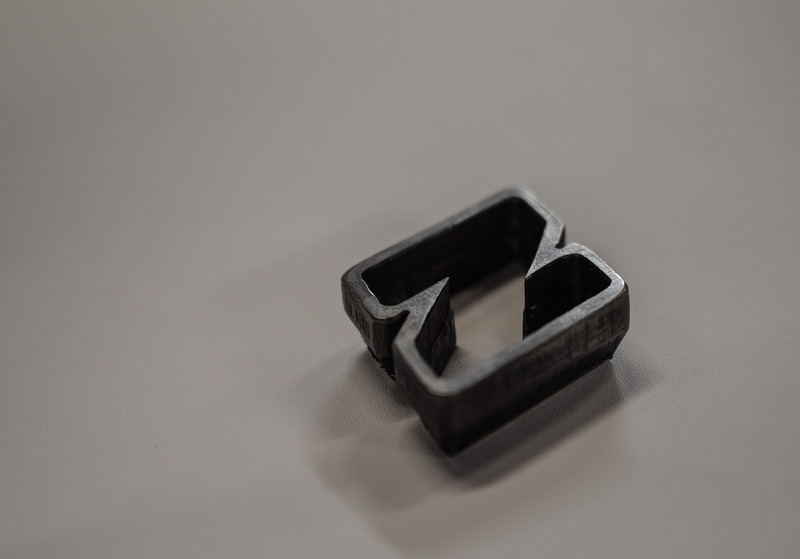 Like ourselves, there were many looking for answers as to what had happened to the shape over the years, so hopefully the following information can clear some things up. 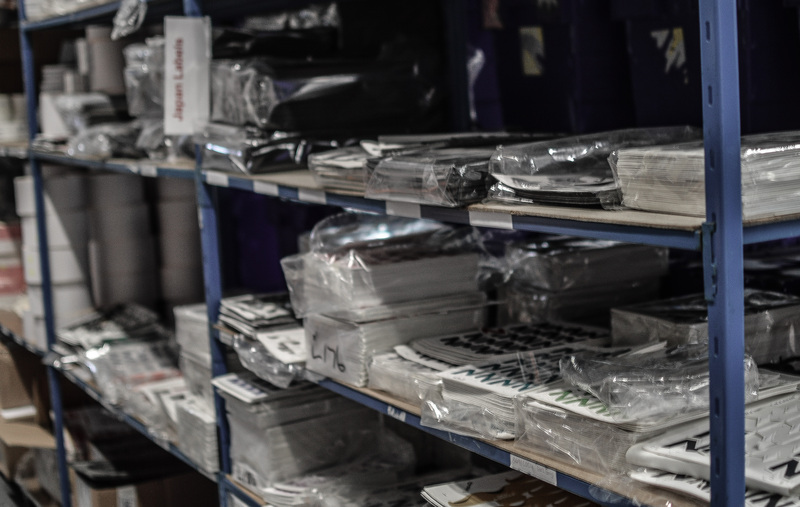 As you can understand, there is a lot of information which cannot be repeated, especially not on to somewhere as public as the internet, but the information provided below should definitely be adequate enough to answer the questions. 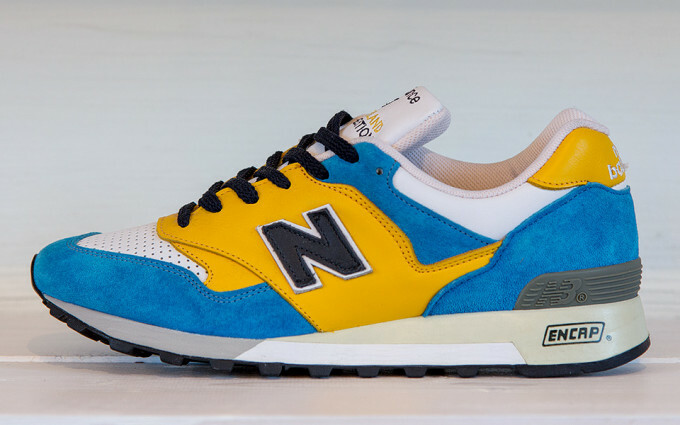 If we were to revisit a few years back when we would regard the shape of the UK models as excellent, with that sharp toe shape, then we can do this by simply taking a bunch shoes released from this time, whether they’re GRs or collabs it doesn’t matter. 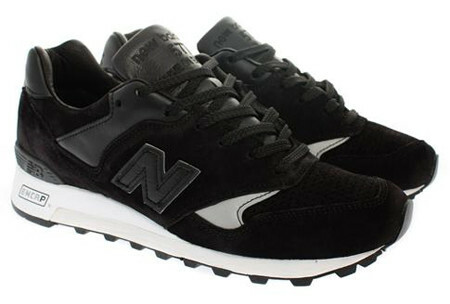 Then if we look at the toe, we’ll notice that it’s for some of the very early releases, there isn’t really any form of toe puff, and then the more recent releases pre-2009 feature do in fact feature a toe puff, but it is nowhere near the same as what is in the shoes currently. 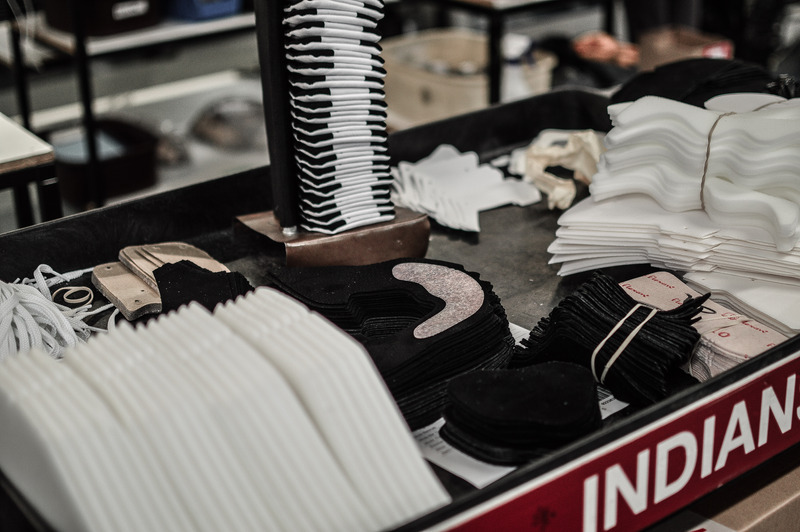 Back then, rather than using a piece of material, the toe puff was an adhesive which was melted and brushed on in a half moon shape, and this method was very inconsistent, which is why if you look at any number of shoes from this time, none of the toe shapes are the same, they all vary. 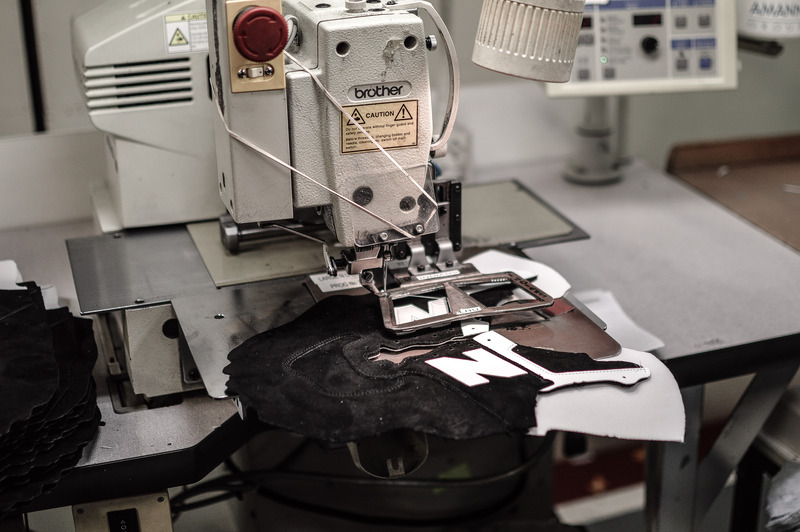 Unfortunately, this old technique does not now meet official global quality control, technical and environment standards, and no brand anywhere in the world could use it if they wanted to. 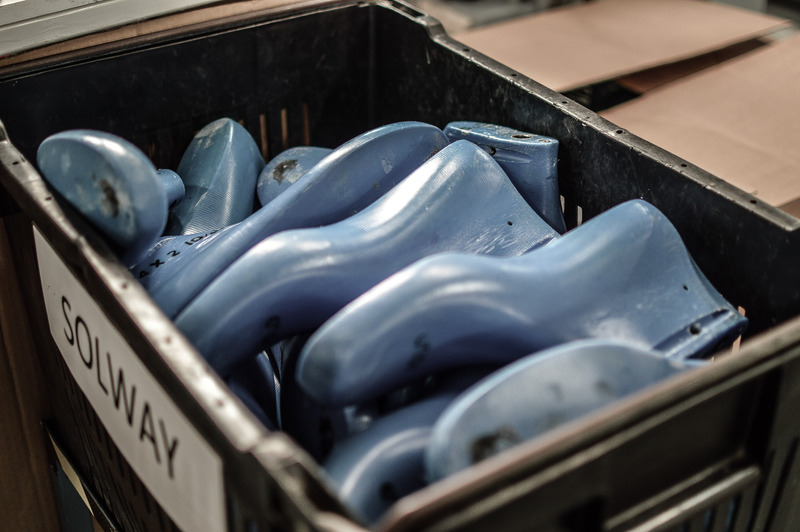 Obviously, using various toe puffs is a bit of a nightmare for the factory when manufacturing the shoes, and in an ideal world, they would use the same toe puff for every shoe, no matter the model, and no matter what material it is made out of. 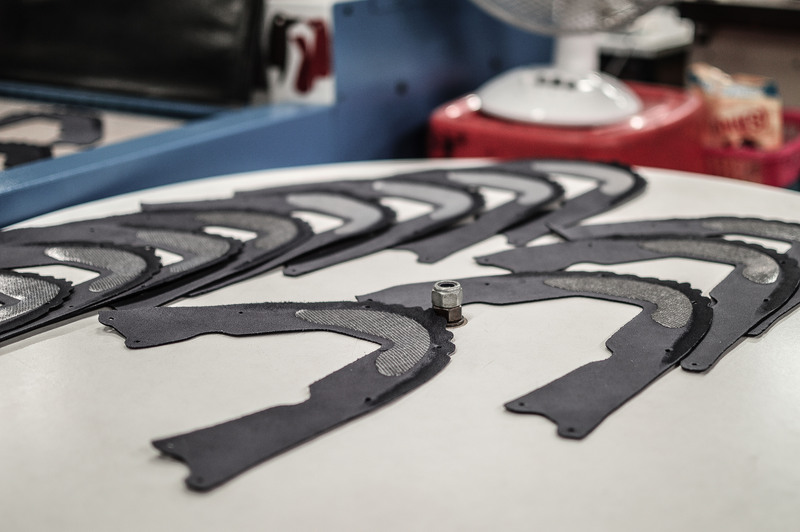 So this has lead to further research and development of the toe puff for the last couple of years, with many more companies and attempts at nailing down the ‘perfect puff’. 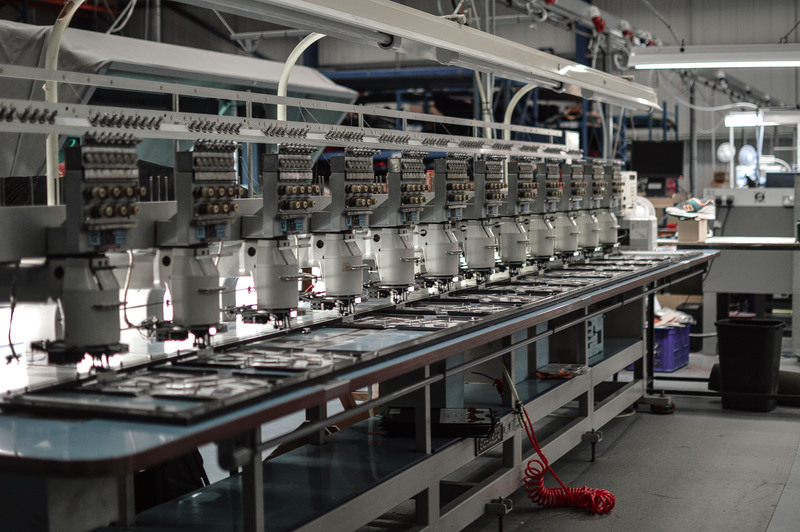 The amount of research and development that has been ongoing for a number of years now behind the scenes was certainly surprising to us. 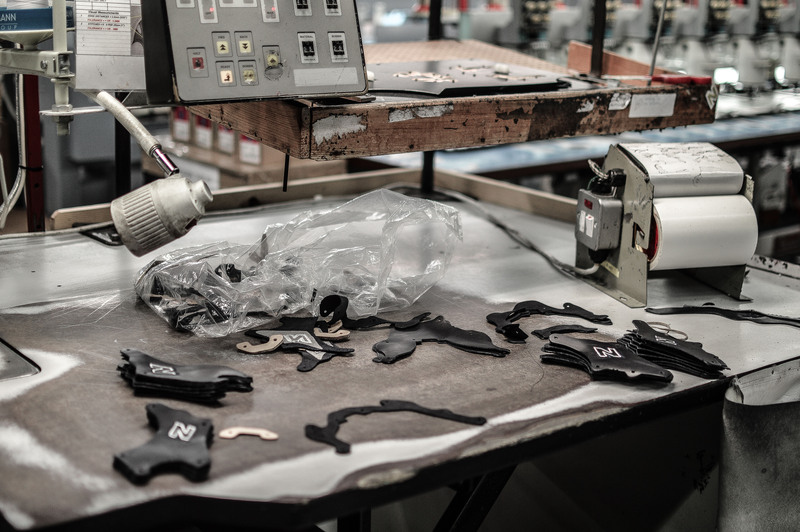 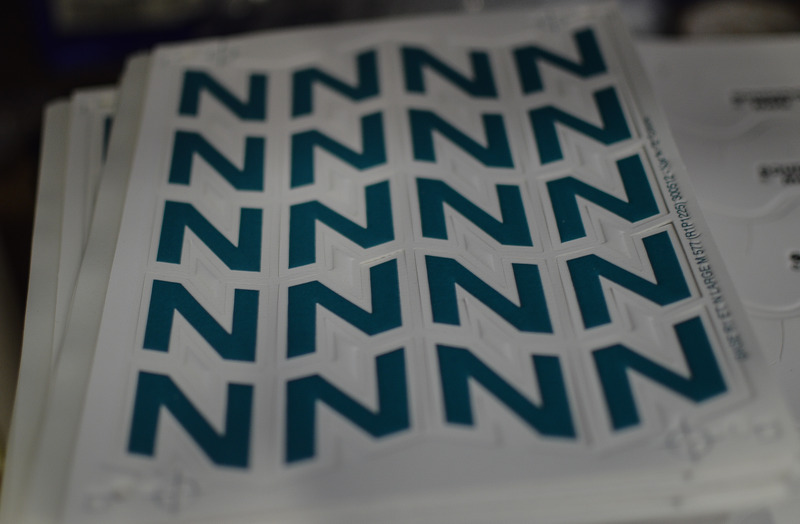 Even once research and development is done, there is still testing to be done on all the various materials, and making sure that there are no issues during the manufacturing processes, but what we can say is that things have been moving along very quickly, it’s being worked on, and sometime in the near future, there are big things to come! 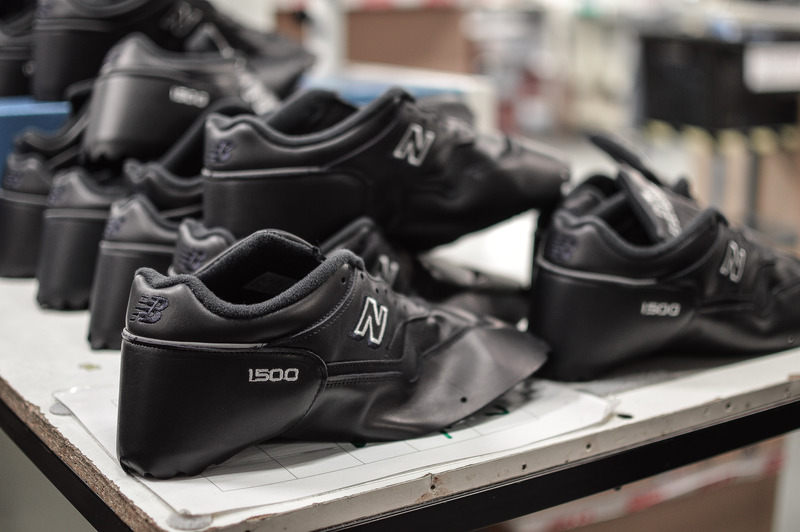 After checking out the 1500 being made, we followed around a 576 line, and the processes are the same, but as the opportunity to visit the factory is so rare, we weren’t going to say no, that was for sure!